This summer, one lucky homeowner will win a new seamless gutter and downspout system from one of the most trusted gutter companies in the area. To enter, simply complete the contest form found here and upload an image of your damaged gutters. The winner will receive a full seamless gutter and downspout system with a value not exceeding $2,500. We will also be giving away coupons for 10% off of the same gutter system for the top four finalists. Meanwhile, all other contestants will receive a coupon for 5% off of our quality gutters systems. For your peace of mind, all our work is covered by a full, 25-year warranty. Advantage Seamless Gutters has been providing quality gutters replacement service to locals for years. With our “Ugly Gutters” contest, you have the chance to get a full replacement for your home for free. We will be accepting entries until July 15th. We also encourage you to like and follow our Facebook page at Advantage Seamless so you can easily keep track of our contest updates. We will be announcing our Top 5 semi-finalists on our Facebook page and on our website on July 17th, and our winner, the gutters with the most likes and shares, on Aug 3rd via Facebook live. The winner of our “Ugly Gutters” contest will be determined through public voting on our Facebook page. Gutters help keep your home dry and damage-free by directing water away from your siding and foundation. To ensure their efficiency, it’s important to keep your gutters clean and clog-free all year. 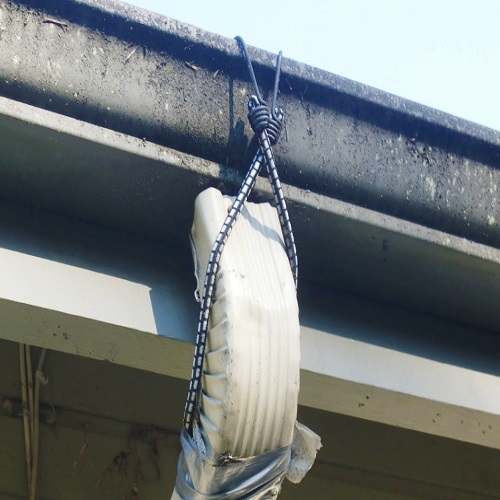 After all, clogged gutters hinder the free flow of water, causing them to overflow. This can lead to water damage to your property. Provide the best gutters for your home by turning to the leading local gutter company, Advantage Seamless Gutters. To learn more about our “Ugly Gutters” contest or about the gutter systems we offer, call us today at (218) 212-1818. We serve Baxter, Brainerd and the surrounding areas in MN.